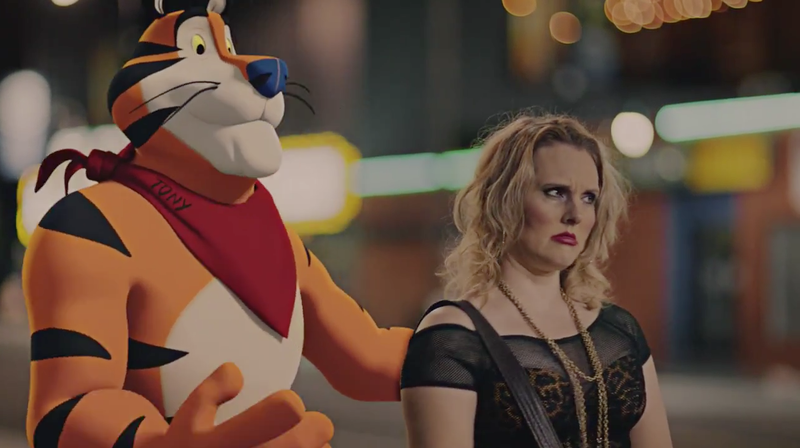 In what is surely an unauthorized prank campaign—and a brazenly offensive one at that—Kellogg's Frosted Flakes spokescat Tony the Tiger claims to have turned his attention to adults rather than kids, and has begun by helping out a 43-year-old, down-on-her-luck prostitute named Candy. "I've helped so many kids to solve their every day problems over the years. I contacted ten people who were children 30 years ago in my Frosted Flakes commercials, and asked them what their problems are now in their 40's. See how I helped them!" We've reached out to Kellogg to ask what it knows, or doesn't know, about this site. We have yet to hear back, though we assume the breakfast giant won't think it's too grrrrreat. Via The Denver Egotist, which saw a Wieden + Kennedy tweet about the site this morning. We'll update when we hear back from Kellogg. UPDATE: Kellogg tells us in a statement, "The website and video have absolutely nothing to do with Kellogg."